For some veterans, coming home isn’t easy. Suwannee Valley Electric Cooperative member Ron Cadle still remembers what it was like when he returned from Vietnam. The welcome was anything but warm, and for a time it hardened him. 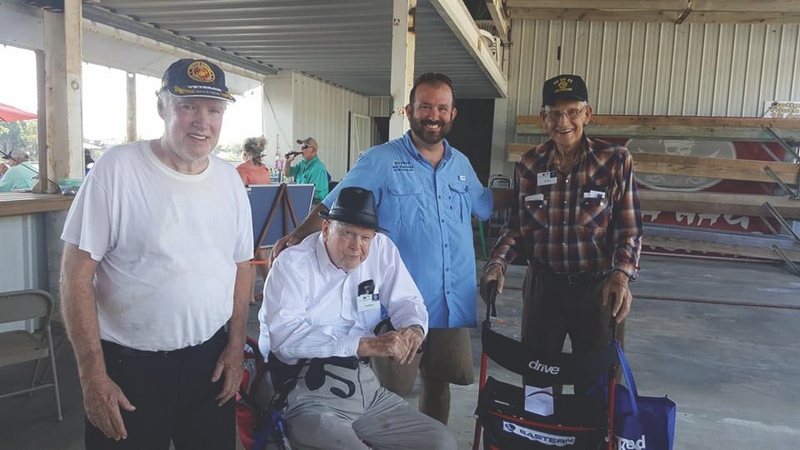 Cadle had long wanted to show other veterans that people appreciated their service, and an all-expenses-paid fishing trip seemed like the perfect way to say thank you. Even soldiers who sustained injuries in combat could participate, and everyone would enjoy a day on the water. From the very beginning, community involvement was important to Cadle. So with his new idea in mind, he took to Facebook in early 2015 to ask local friends and family to come up with a name for the project. There was a clear winner: Hooked on Heroes. Initially, Cadle thought it would take the better part of a year to get Hooked on Heroes up and running as a nonprofit. He began organizing the program in June 2015 with the help of a few volunteers. But as soon as others learned he was organizing free fishing trips, veterans from across the state asked when they could help. As a result, the first Hooked on Heroes trip was that October, before Cadle even finished the paperwork for the nonprofit. Hooked on Heroes averages around 50 to 70 boats for each trip with volunteers who live as far as Georgia coming to help. In the following months, Hooked on Heroes brought together a board of directors and registered as a nonprofit organization. 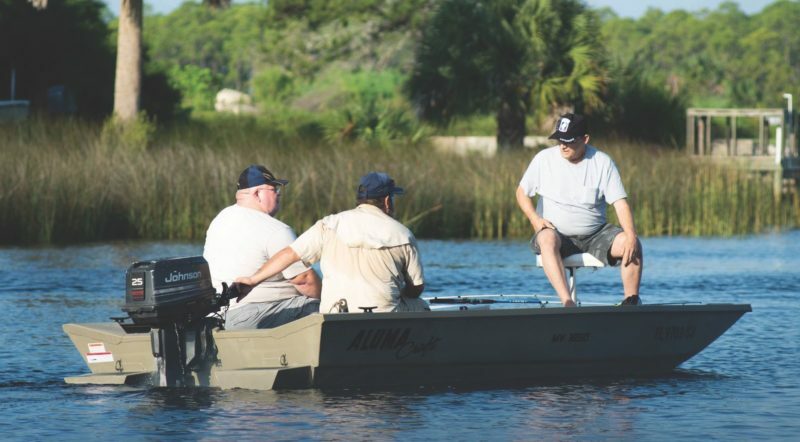 A second fishing trip was set for April 2016, establishing the twice-annual schedule that continues today. Because the organization depends entirely on volunteers and donations, the size of each trip varies based on the number of available boats. 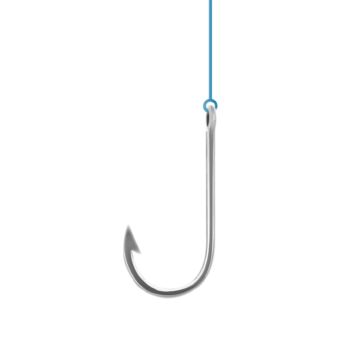 So, Hooked on Heroes seeks volunteers willing to donate boats or to act as a captain for the day on a fishing trip into the Gulf. As Hooked on Heroes has continued to grow, Cadle’s primary challenge has been making sure donations of time and money keep up with the level of interest. When the project first started, taking 100 people out on the ocean at one time seemed impossible. Now, his goal for the near future is to take 200 veterans on a fishing trip. Those numbers have been a strain for some donors, such as those who provide free lunches for the veterans. If we only had 10 boats we’d do a trip … We have some boat owners who live as far away as Georgia and pull their boats down to take the veterans out. 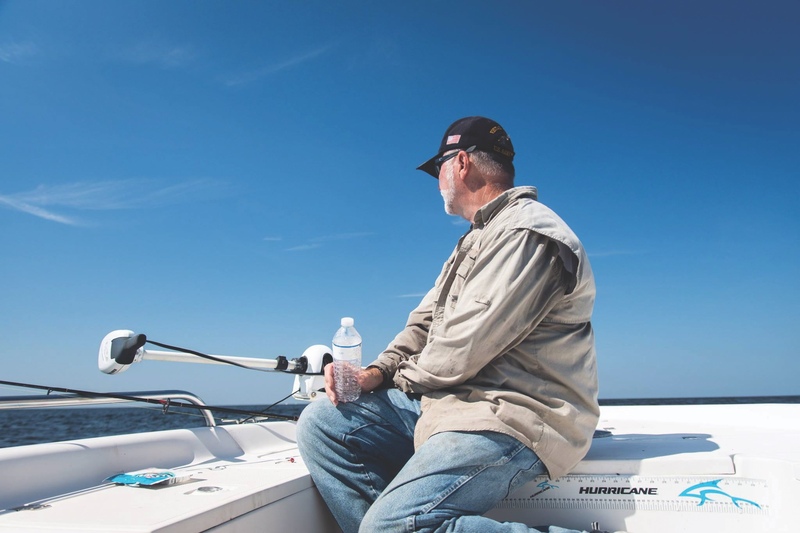 In addition to organizing the fishing trips, Hooked on Heroes also uses any leftover donations to improve the lives of local veterans. Recently, Cadle found out about a vet who had gone for a month without running water in his home. Hooked on Heroes was able to give him $450 for necessary repairs. 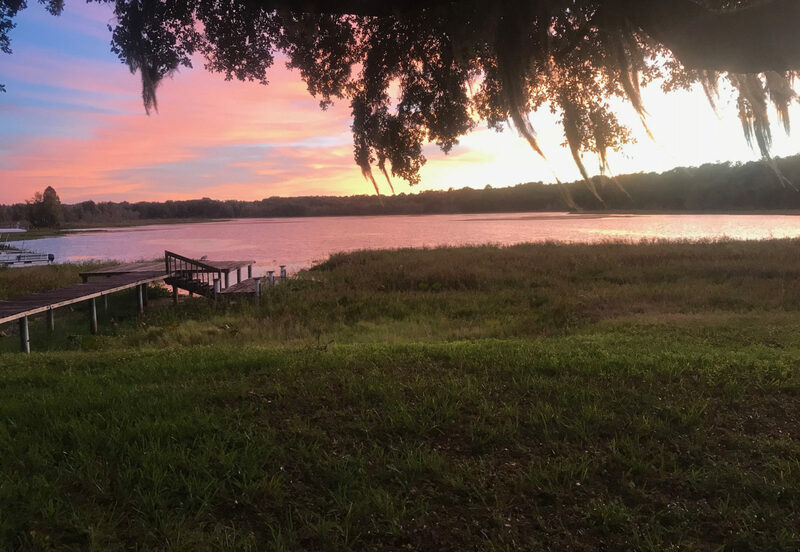 It’s those moments and the carefree spirit of veterans returning from a successful fishing trip that make all the work worth it for Cadle. 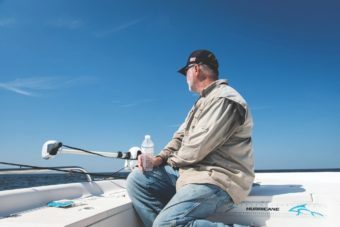 Hooked on Heroes’ goal is to take 200 veterans on a fishing trip. Donations and help from volunteers are crucial in making that goal a reality. If you would like to volunteer, donate your boat for a trip or make any other donation, please call 386-364-9589. If you are a veteran or know a veteran who would like to participate, call 386-288-4445 to register.